Washer is slow to fill? Water only trickles? 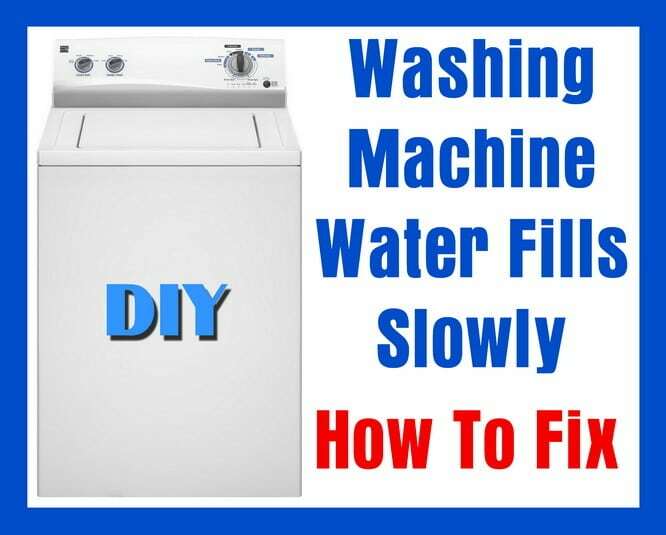 When your washing machine is filling up slowly with water or sometimes no water flows at all, it is usually clogged inlet screens, water valves not being fully open, or a solenoid valve water inlet issue. Many times you may hear a buzzing noise or a low hum when the water is trying to fill or if it is slow to fill. On most washers, this will happen on only one water temperature selection. This means that most of the time only the COLD water is slow to fill or the HOT water is slow to fill, not both at the same time. One of the water temp selections will be slow to fill and the other will flow as normal. Test both HOT and COLD water fills to see if both are not filling or it is just one or the other. Determine if the washer has an issue filling with the COLD water fill, HOT water fill, or both HOT and COLD water fill. You need to inspect a few things before replacing any water fill valves, inlet valves, or solenoids. These will be a few easy items to check. First be sure the HOT and COLD water valves that supply water to your washer are on and FULLY OPEN. Check the water fill hoses that go from the water valves on the wall to the washer. Be sure the water fill hoses are not bent, crimped, or clogged. Be sure that when you slide your washer back into its place, that the water fill hoses are not becoming bent or crimped behind the washer. Check with a mirror and flashlight once your washer is back in place to be sure your hoses did not get crimped once the washer was slid back in position. If both valves are fully open and the hoses are not bent, the next thing to check is where the hoses thread onto your washer. The water inlet valve has 2 solenoids controlling water fill. A solenoid valve is an electrically controlled component. When a solenoid is sent power, it opens the water valve to let water into your washer. The solenoid valve or the inlet of the water inlet valve may be clogged with gunk or the solenoid is bad. You can test the solenoids for continuity with a multimeter to be sure. Sometimes a buzzing or humming sound will be heard when the water is filling and the water will be trickling in making the water SLOW TO FILL. If this is your case, the valve needs to be cleaned of the gunk so the water can flow into your washer properly. If the water inlet valve is not clogged or gunked up restricting water flow, you may have a bad solenoid valve. You can test the solenoids with a multimeter for continuity to be sure. 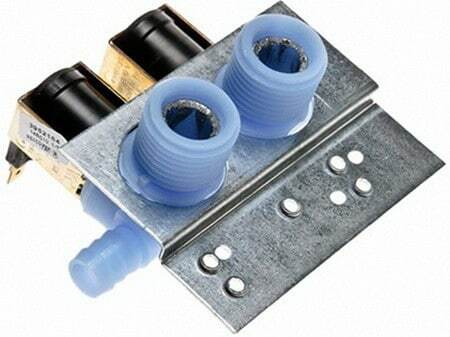 If a solenoid is bad, you should remove and replace the complete water inlet valve. Make sure to also test to be sure the solenoids on the water inlet valve are GETTING power. Make sure the wire harness that connects to the valves are tight and secure. The water inlet valve will have the hookups for the 2 hoses, and 2 solenoid valves that control the HOT and COLD water fill. You can buy a new one online. Just be sure you have your washer model number handy and you can order the part yourself and replace it. Read the instructions that came with your new replacement part to see how to replace the valve in your particular washer. 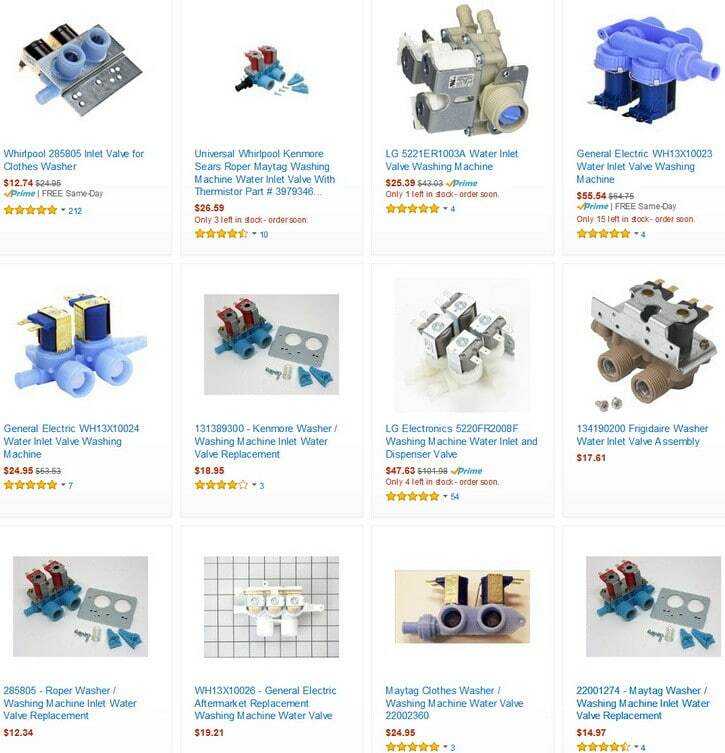 See pictures of washing machine water inlet solenoid valves below and videos of troubleshooting the Washer Fills Slow issue. Do you know of other reasons a washer would be slow to fill? Please leave a comment below. My Whirlpool washer will start to fill with water and it will be very strong (hot and cold) flow then it suddenly slows down to a trickle. Then we have to continue to open and close the lid to get it to finish the wash. I replaced the pipes and checked the residue, but did not make any difference with the water filling very slowly, please help. Depending on the washer model you have, you may need to check the water pressure switch, the water inlet valves, and clogs in the hose mesh screens.